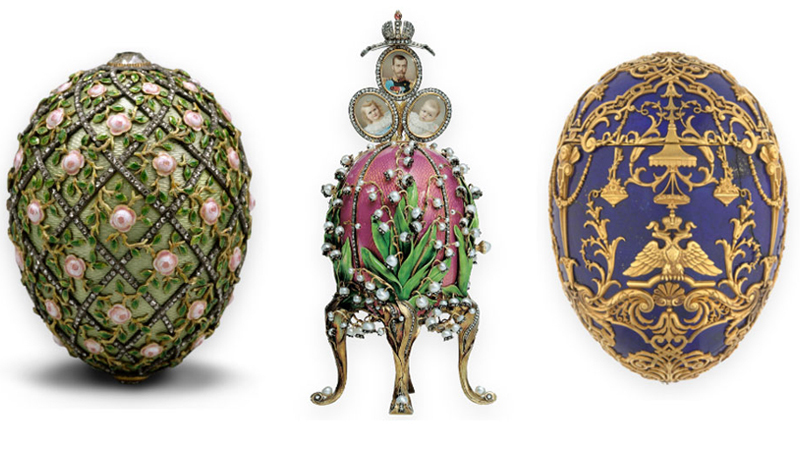 In celebration of Easter, we look back on the history of the most lavish Easter eggs ever made: the bejeweled and gilded Fabergé eggs first created for the Russian royal family between 1885-1917. 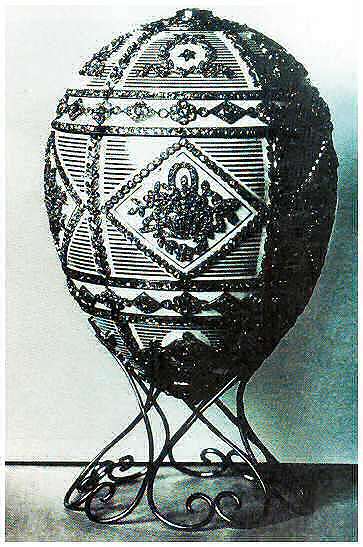 In 1917, the Bolsheviks overthrew the Russian royal family and nationalized the House of Fabergé, so the Fabergé family fled to Switzerland. 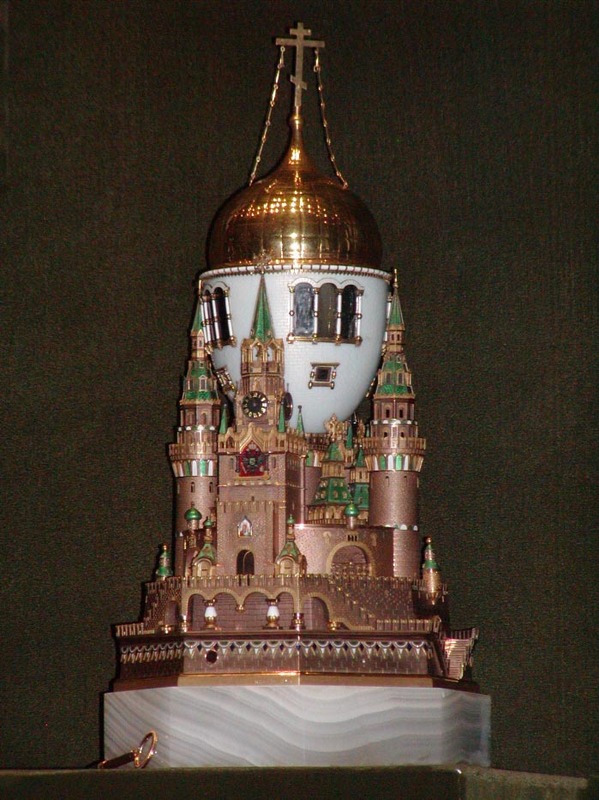 All of the imperial jewels, including the Fabergé eggs, were moved into the Kremlin armory by Vladimir Lenin. Many had already been taken by the family and other owners elsewhere in Europe: of the 65 known eggs, 57 survived destruction or loss. A decade later, under the regime of Jospeh Stalin, money was desperately needed to fund the Soviet Union. Instead of melting down the eggs for their precious metals, he secretly sold them on the black market for far less than their market value so he could obtain easy cash. 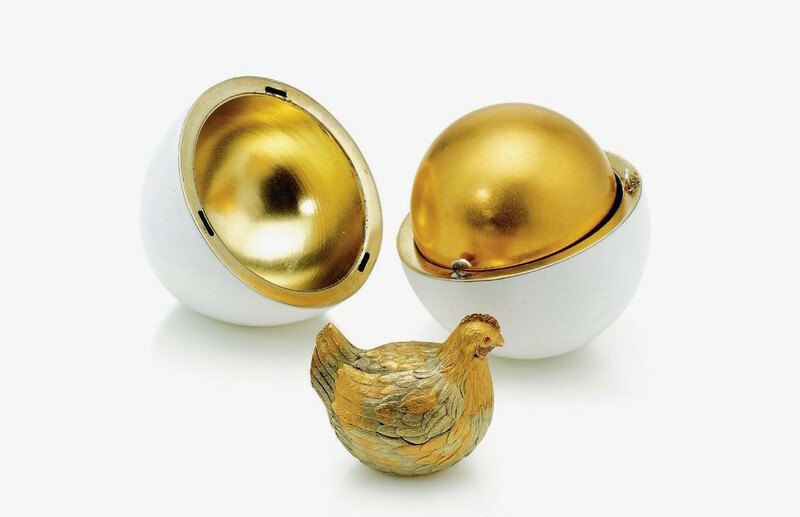 Buyers of the 14 eggs included American businessman Armand Hammer and British jeweler Emanuel Snowman. 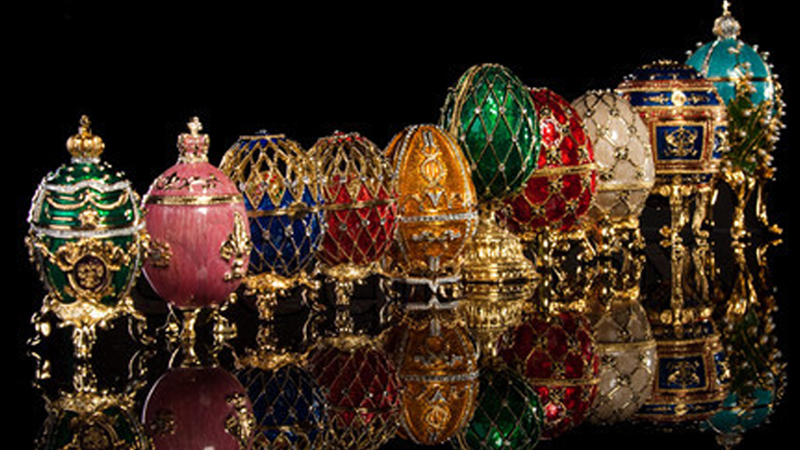 In 2004, billionaire Malcolm Forbes was set to auction his nine Fabergé eggs and 180 other Fabergé pieces at Christie's, but Russian oligarch Viktor Vekselberg swooped in to purchase the entire collection before the public sale, allegedly spending $100 million for it. 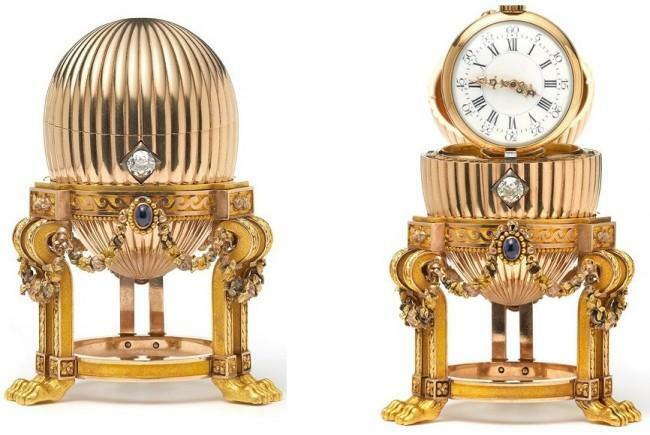 The most expensive egg ever sold at auction, however, is the Rothschild family's Fabergé egg. 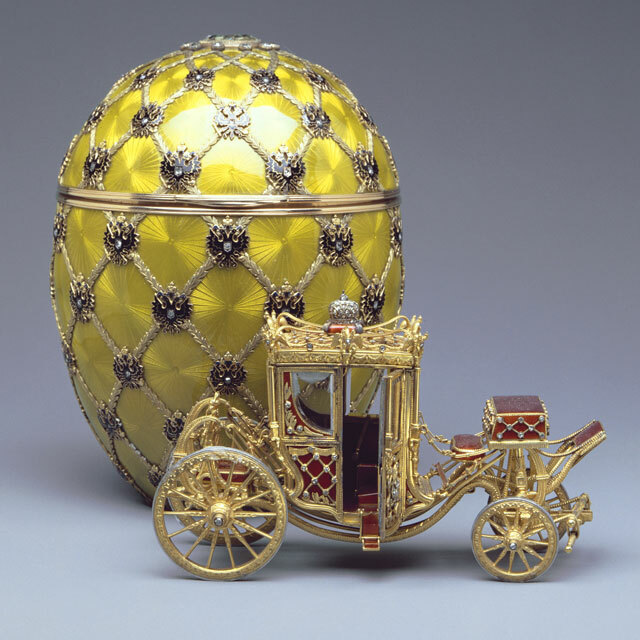 It was made in 1902 as an engagement gift to the fiancé of Baron Edouard de Rothschild. 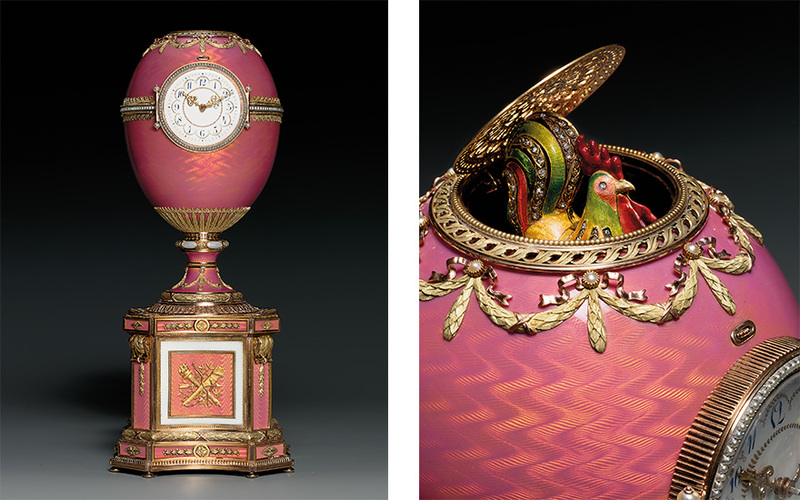 The rose-colored egg has a clock on its facade and a diamond-encrusted rooster pops out of the top of the egg every hour. 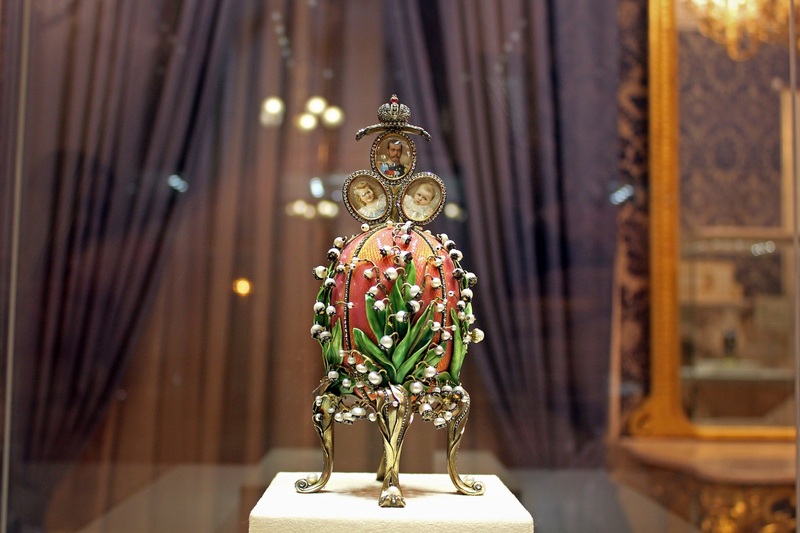 After 105 years in the Rothschild family, it was offered for auction at Christie's in 2007 and sold for $16.5 million to Alexander Ivanov, a Russian art collector and director of the Russian National Museum. 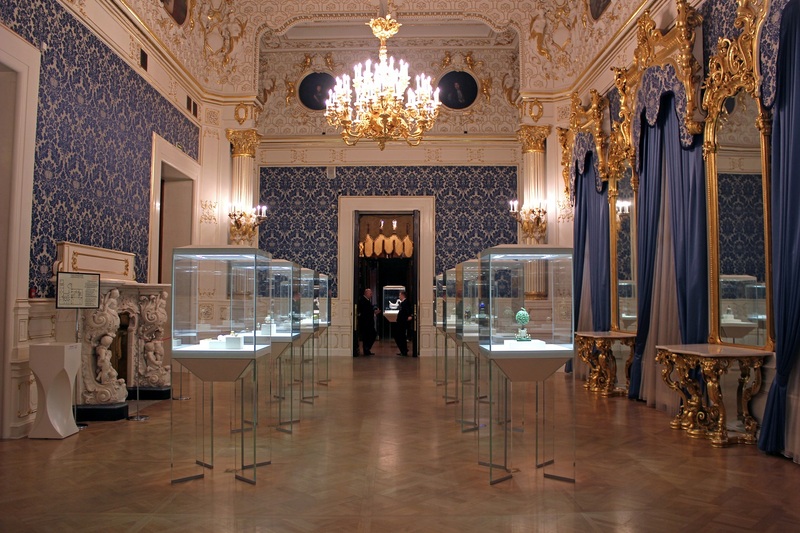 It is currently displayed at St. Petersburg's Hermitage Museum. 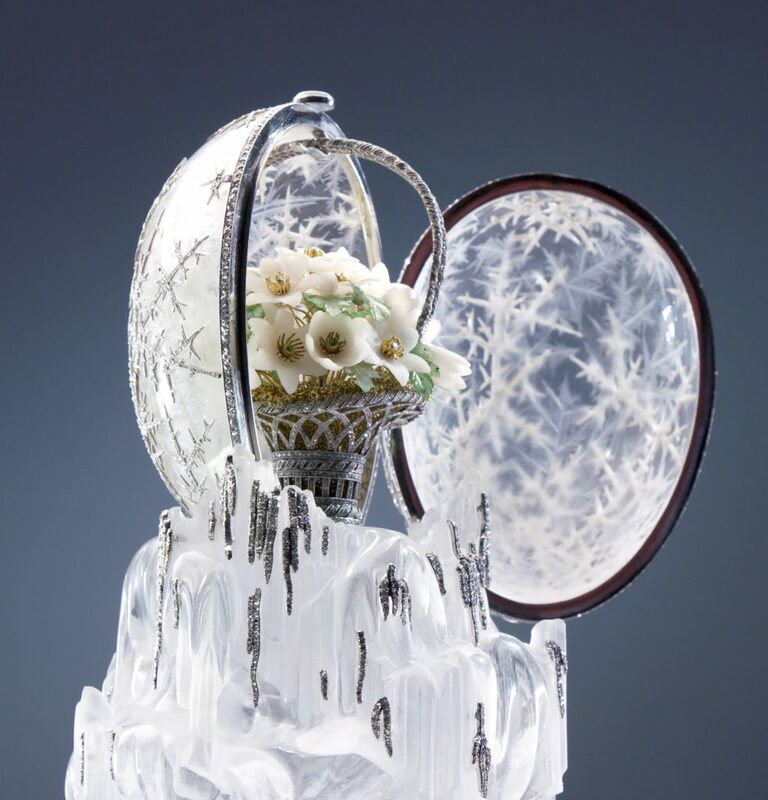 The second most expensive egg sold at auction is the Winter Egg, an Imperial gift to Empress Maria Feodorovna for Easter 1913 from her son that boasts a frosted facade and thousands of diamonds with a surprise flower basket inside. It was purchased by the Emir of Qatar for $9.6 million at Christie's in 2002.